There must be many of us who remember the horrific TV footage of a burqa-clad woman being unloaded from an open truck in the Kabul football stadium, forced to kneel down, and shot in front of a huge crowd of spectators. Just as Tolstoy felt that every move his heroine made in Anna Karenina (which we discussed last month) led, inevitably, to her suicide at the railway station, so every thought, word and action in Khaled Hosseini’s A Thousand Splendid Suns shuffles inexorably towards a half-time execution by Kabul’s southern goalpost. Women in Afghanistan do not get away with insurrection, and we have two heroines with whom to empathise. One of them was always going to be expendable. Did he use that heart-wrenching moment as his starting point? It seems perfectly possible. 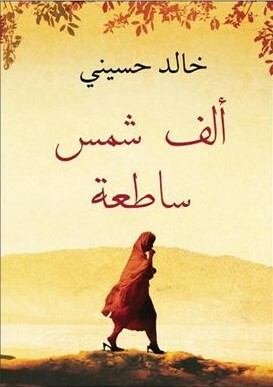 This is Hosseini’s second novel and it deals with the same period of Afghan history as The Kite Runner, the Soviet defeat by the Mujahideen, the in-fighting between the warlords, the years of Taliban rule culminating in the destruction of New York’s Twin Towers and the subsequent arrival of US forces to seek out Osama bin Laden, Afghanistan’s ‘guest’. 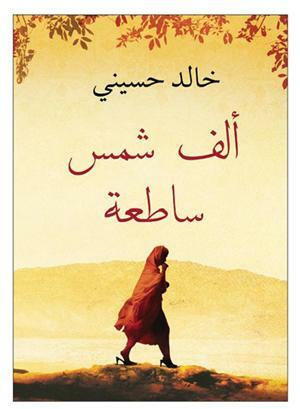 Fifteen-year-old Mariam has been forced to marry uncouth,violent Rasheed, thirty years her senior. Eighteen years and many miscarriages later, her marriage is further undermined by the arrival of another fifteen-year- old bride, Laila, whose home and parents have been blown up by insurgents. Laila has only agreed to be Rasheed’s second wife when she is told of the death of her lover, Tariq, whose child she has just discovered she is carrying. When the baby turns out to be a girl, the natural antipathy between the two women is gradually replaced by mutual respect and affection in the teeth of Rasheed’s increasing bitterness and brutality. It is this enduring mother and daughter-like bond of love which leads them to overcome starvation, cruelty and terror with acts of selflessness and, in the end, heroism. The author was born in Kabul but escaped with his parents to the United States in 1980. It was only after the success of The Kite Runner that he returned to Afghanistan and learned about the experiences of women during the intervening years. He says that Mariam and Laila are an amalgam of the many women whose stories he heard. And many of us felt that the plot had driven the characters; there was a lack of depth and originality in Mariam and Laila while the predominantly male cast of The Kite Runner had been consistently idiosyncratic. Nevertheless, A Thousand Splendid Suns was a story – clearly based on fact – that needed to be told, although it was at times almost unbearable to read. Next month we meet on Thursday, November 13 at Tremore Valley House to discuss The Rose of Sebastopol by Katherine McMahon.